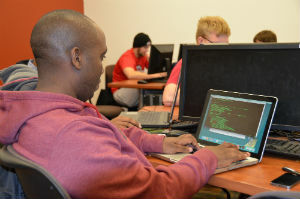 The Department of Computer Science & Software Engineering has dedicated faculty that allow us to provide numerous research opportunities for undergraduates and graduates. Students can get involved with research as early as their first year! To learn more about these opportunities check out the undergraduate and graduate research pages linked at the left. You should also view or faculty's research interests to the left and contact them for more information.